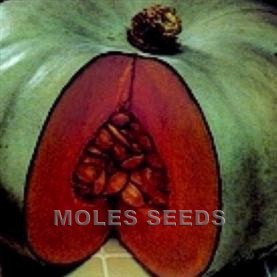 Welcome to Moles Seeds, a leading wholesale supplier of commercial quality flower and vegetable seeds throughout the UK and overseas. We stock all your favourites - and why not have a browse for something new? We offer both conventional and organic vegetables - including over 70 varieties of tomato! 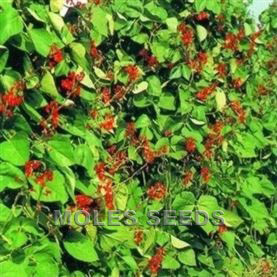 Moles Seeds also stock rhubarb, asparagus crowns, onion sets, seed potatoes, seeds for green manure, cut flowers and wild flowers, as well as professional quality amenity grass seed and sundries. Being completely independent allows us to select the best in flower and vegetable varieties from the world’s top breeders, and we have an enviable reputation for supplying professional quality seed. We routinely carry out in-house testing, including germination and emergence tests, to ensure that the seed viability and vigour is maintained at the highest possible standard, before being packed into our distinctive gold foil bags to retain the freshness. We sell to commercial growers, nurseries, farms, local authorities, landscapers, country estates, the prison service, schools, colleges, allotment societies, social enterprise groups and keen gardeners – indeed anyone who appreciates the value offered by our larger packets of quality seed! Don’t forget if you order and pay for your seeds and/or plants online using a credit or debit card you will receive a 3% discount off our published prices. If you would like to meet Moles Seeds, talk about new products or simply pick up a copy of our latest catalogue then we will be exhibiting at the following trade shows. This information was last updated on the 1st March 2019.